Turkey-born Parsons grad Su Beyazit honed her eye for fashion working as a freelance stylist for Brooklyn Magazine and The L Magazine. 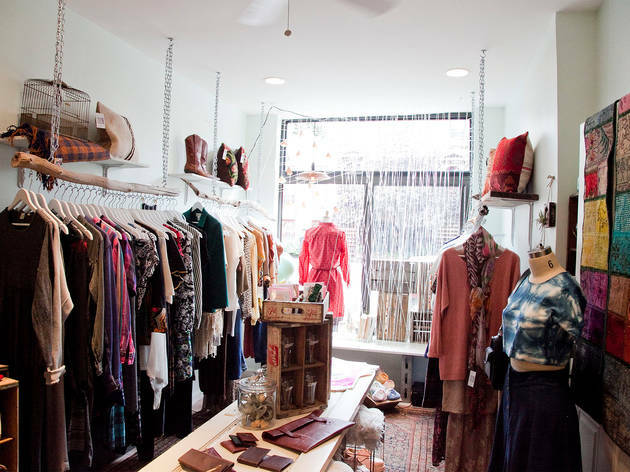 Her first store features women’s clothing ($15–$280) and jewelry ($20–$180) from Beyazit’s personal vintage collection that she used to sell on Etsy (sucuk.etsy.com), as well as the work of emerging designers from NYC and North Carolina. Chic home decor ($40–$300) and gifts ($2–$60) are mostly imported from her mother country. Beyazit created the outdoorsy decor of the shop after reading Nomad: A Global Approach to Interior Style, by Sibella Court, which provided easy DIY ideas. 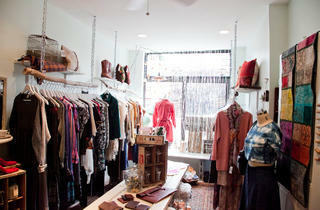 She used salvaged materials and repurposed wood purchased from neighbor Eddie Hibbert, who guts old brownstones. Adding more local flair, the earthy window displays were created by Brooklyn artist Perry Lewis (perryelewis.com). Highlights include Rachel Weisberg handmade crop tops ($80), Closet Case Vintage dark denim skirts ($26) and Kaolin & Quartz porcelain pendants ($50). Pick up Nomadic Trading Company hemp pillows ($125) and Ashkahn Shahparnia witty greeting cards ($6 each) for thoughtful gifts.